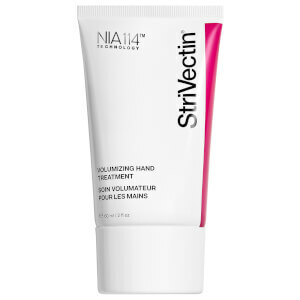 Rejuvenate dry, tired hands with this non-greasy Hand Cream from StriVectin. Formulated using the brand's patented NIA-114™ technology to strengthen the skin's barrier and shield from the impact of environmental aggressors, leaving hands supple and silky smooth. 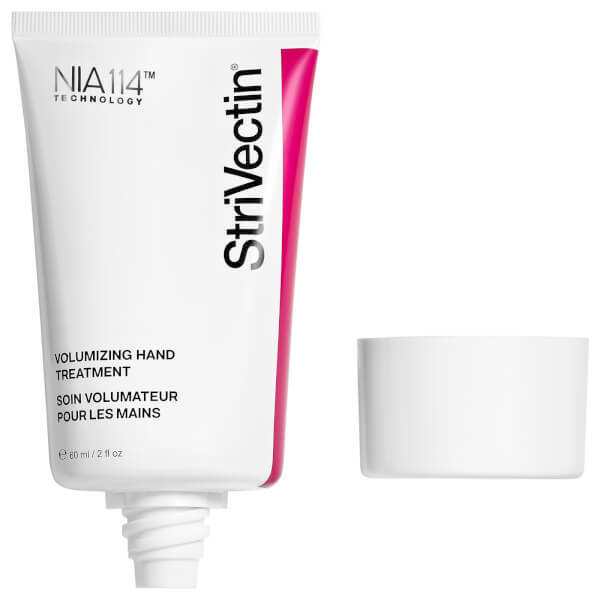 The ultra-moisturising cream combats signs of ageing on the hands, relieving you of tired, dry and discoloured skin to restore vitality for youthful-looking hands. Its Volumizing Complex™ is combined with effective ingredients, including shea butter and oils to plump and firm the skin on the hands to visibly reduce the appearance of fine lines and wrinkles. E.N. Rub a small amount into hands AM and PM, and required.